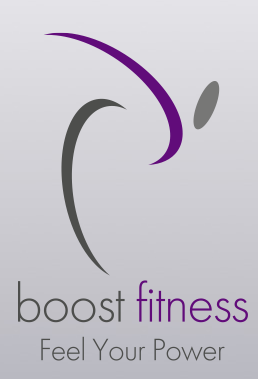 Start taking classes at Boost Fitness and other studios! Piloxing is a high-energy interval workout that uniquely blends the power, speed and agility of boxing with the targeted sculpting and flexibility of Pilates. These techniques are also supplemented by the use of weighted gloves, further toning the arms and maximizing cardiovascular health. Add to that fun dance moves and you have a workout that will tone muscle, burn fat and empower you both physically and mentally. Using the most current science, Piloxing incorporates formats such as interval and barefoot training to burn maximum calories and increase stamina. You will be loaned Piloxing Gloves for this class. Barefoot training is encouraged for this class. There are no upcoming “Piloxing” classes on this day. Barefoot training is encouraged for the Piloxing and Piloxing Barre classes but not required. Good shoes should be worn for the Body Boost class. Piloxing gloves will be provided for first time Class Pass users. The studio is located between The Little Gym and Lush Nail salon in the corner of the Marshall's shopping center. Julie is a great instructor. This was a great cardio class filled with circuits for abs and standing Pilates. Everyone there is friendly and the studio is super cute. Julie was super friendly and welcoming! Her class definitely gave me a good sweat! Julie is fantastic. She energizes and motivates the group. Its a great, fun workout and worked up a great sweat. Nice class with a lot of very welcoming regulars. This class was amazing and the instructor was so nice and welcoming. Thanks for taking time out to review my class. I'm so glad you enjoyed it, hope to see you again soon. It was a fun workout! I like that Julie tries to get to know you too so you feel more welcome and comfortable. Definitely recommended. Thanks so much for taking time to review my class. I'm so glad you liked it, come again soon! Fun class. Great instructor with good energy. Thanks for reviewing my class. I'm so glad you enjoyed it, I hope to see you again soon. Thanks for the great feedback. Love having Class Pass clients in my classes. Thanks for the great review. I always welcome Class Pass clients to my classes. Come again!